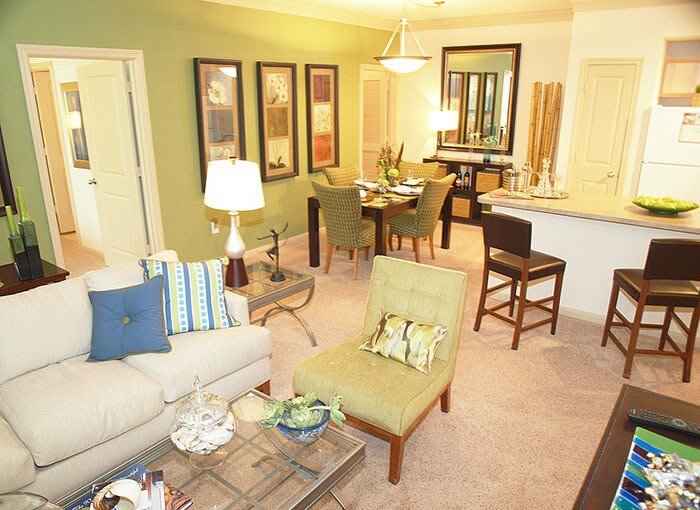 With eight different 1, 2 and 3 bedroom styles, we're confident that we have the apartment you've been looking for. Our apartments feature beautiful amenities including roomy open-concept living spaces, chef-ready kitchens, enormous private suites with expansive walk-in closets and ample outdoor spaces with either walk-out patios or balconies. Looking for a great office space or a cozy reading or craft room? Our one bedroom with den design is just what you're looking for. If you're looking for two-story living with tremendous space, you'll love our 2 and 3 bedroom townhouse floor plans with an attached two-car garage. No matter the home you choose they all include front door valet trash service, intrusion alarms and worry free maintenance. We offer flexible lease terms, anywhere from three month leases all the way up to twelve month leases, with options to go month-to-month once your first lease expires. We'd love to tell you more about Summerwind Apartments when you tour with us!